This week's Agency Brief has news from the American Advertising Federation; Goodby, Silverstein & Partners; Walrus and more. By Megan Graham . Published on January 25, 2019. 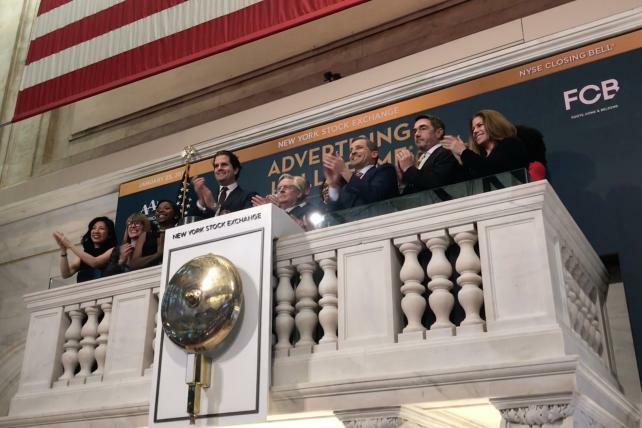 The ringing of the NYSE closing bell in celebration of the 2019 inductees to the 70th Annual Advertising Hall of Fame. The New York Stock Exchange looks decidedly more Madison Avenue this afternoon. The American Advertising Federation announced its latest Hall of Fame inductees (its 70th group) at the closing bell ceremony—the latest class of leaders in the ad world who have made "significant contributions to the advertising industry" and a personal commitment to society. - Hector J. Orci, founder & co-chairman, Orci. Orci will also receive a David Bell Award for Industry Service, which the organization says recognizes "extraordinary and unique contributions and service" to the ad community. The class is made up of "true trailblazers [who have made] a lasting impact on the advertising landscape, and their work will continue to empower others for decades to come," Carter Murray, FCB Worldwide CEO and AAF vice chairman, said in a statement. The Hall of Fame ceremony will honor the group on April 30 at Cipriani Wall Street in New York City. Goodby, Silverstein & Partners has created "Dali Lives," bringing the master of surrealism back as the Dali Museum in St. Petersburg, Florida, recognizes the 30-year anniversary of his death, Creativity reported this week. The A.I. technology resurrects the artist so he can play "host" to visitors. 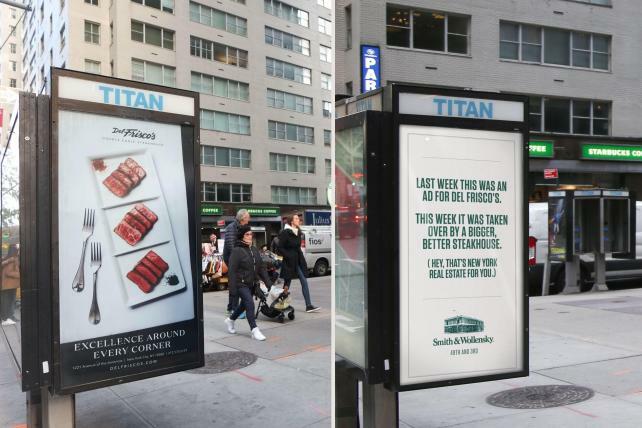 For its client Smith & Wollensky, New York agency Walrus pulled a "light-hearted real estate takeover" on Del Frisco's—replacing 62 phone kiosk ads formerly held by Del Frisco's just as its media buys had come to an end. "We both love and respect the folks at Del Frisco's, and our friendly cross-town rivalry," says Michael Stillman, president and founder of Smith & Wollensky parent company, Quality Branded. "We look forward to their response." Former WPP head Martin Sorrell's drama with his former holding company endures. The Wall Street Journal reported Friday that WPP contacted the executive late last year to seek repayment for what it said were personal expenses, like travel for his wife Cristiana Falcone Sorrell. The amounts total $219,000, WSJ says, and Sorrell paid the sum requested. According to the report, WPP recently asked Sorrell to clarify additional expenses. CKE is conducting an agency review for Carl's Jr., a move that once again suggests Havas Chicago's approach really wasn't cutting it for the restaurant operator. CKE runs both Carl's Jr. and Hardee's, and had awarded both accounts to Havas Chicago in February 2018 as it aimed to differentiate the ad approaches for the two chains. 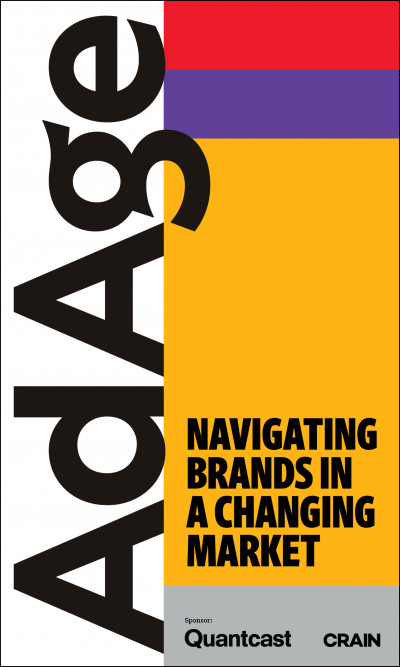 By November, Havas had lost the Hardee's account to Havas-owned Arnold. Now, the Carl's Jr. account is up for review. "As part of our strategy to separate Carl's Jr. and Hardee's, we are currently conducting an agency review for Carl's Jr. that is being managed by SRI," CKE said in a statement, referring to Select Resources International. "Arnold is the agency of record for Hardee's, and we are excited to continue our strong work together. Our goal is for each brand is to have its own unique storyline, both impossible to ignore." Ads featuring Matthew McConaughey as the voice of Carl's Jr. began running in February, and were followed by a campaign with a new direction in November. While McConaughey's voice was still heard, Carl's Jr. poked fun at its bikini-babe past with comedian a Celeste Barber spot spoofing the 2005 Paris Hilton car washing commercial. 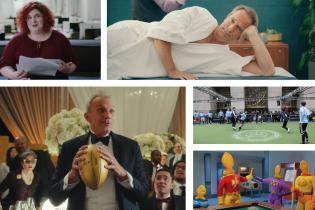 Prior to picking Havas Chicago, CKE worked with 72andSunny. 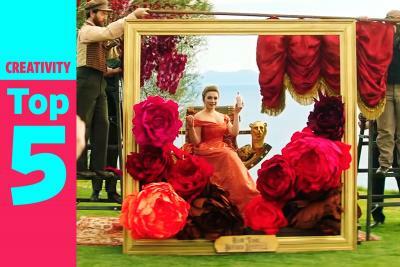 The review was previously reported by Adweek. Goose Island has tapped Crispin Porter Bogusky for a new slew of spots in which Next Coast IPA taps a "football game commercial advertising advisor"—aka a total hack—named Duane Hackett (played by Alex Moffat of "Saturday Night Live"). Fast-casual seafood restaurant Captain D's has chosen Horizon Media as its media agency of record after a review. The restaurant chain, which has 530 restaurants in 22 states, previously worked with indie media agency Empower out of Cincinnati. Empower said the agency and client mutually decided it was time to part ways. If you can believe it, McDonald's really long global media agency review is still going on. This week Publicis Groupe said the restaurant chain tapped Publicis Media's Starcom as its media partner in Russia. Mc Na Zdorovie! Sennheiser, a German manufacturer of headphones, microphones and wireless transmission systems, has tapped MullenLowe Group as its global marketing communications agency of record for its consumer business. Media Kitchen—now part of MDC Partners' Forsman & Bodenfors—is opening a Shanghai office. It will be led by Media Strategy Director Chitty Cao. Wongdoody, which last year was acquired by Infosys, a tech services and consulting giant based in Bengaluru, India, is opening an office in the World Trade Center in Manhattan. It will focus on digital transformation for brands and plans to hire 20 full-time employees by the end of the year. Sports marketing agency Two Circles just opened a Los Angeles office. The WPP shop sits within GroupM. Cleveland-based indie agency Marcus Thomas has its first chief creative officer: Jamie Venorsky, who joined the agency in 1999 as an art director and was most recently executive creative director. Publicis Spine. which launched in 2017 as a way to help the Publicis' clients target consumers on an individual level, has hired Ian Thomas as its chief data officer. Thomas comes from Microsoft where he most recently led digital marketing data, analytics and operations for Xbox, Windows, Surface and Bing. 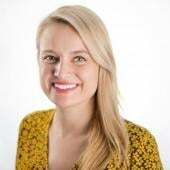 The One Club for Creativity has promoted Lauren Cole to lead its One ID inclusion and diversity department. The group puts on "Creative Boot Camps" for multicultural students to work with agencies and creatives on client briefs, and the annual "Here Are All the Black People" inclusion and diversity event in New York. Todd Silverstein has joined Drum Agency as its new chief media officer. He comes from Edelman, where he was head of performance marketing. VMLY&R's Jon Bird has been promoted to chief retail and commerce officer from his previous role of executive director of global retail and shopper marketing at VML. He will oversee a global practice to help VMLY&R clients with e-commerce, connected retail and relationship marketing.